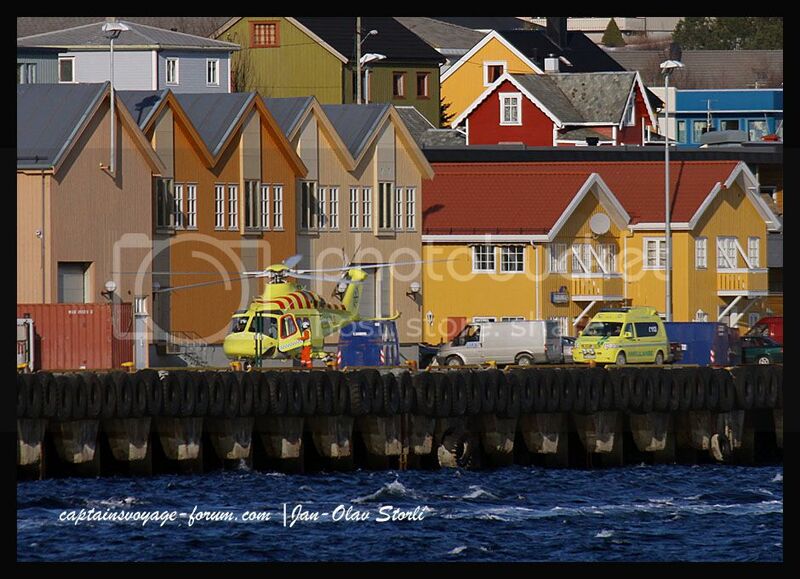 I start with this yellow-winged bird which landed at the coastal steamer dock a few days ago to pick up a patient for an ambulance flight to either Namsos or Trondheim. 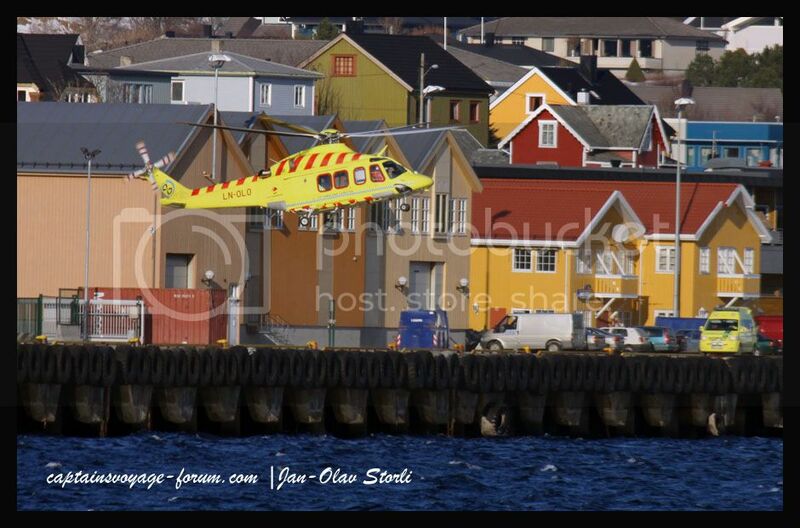 Others, feel free to spot, photograph and share your helicopters wherever they may be in the world. I visited Rome in 2007, the same day George W. Bush was in town. 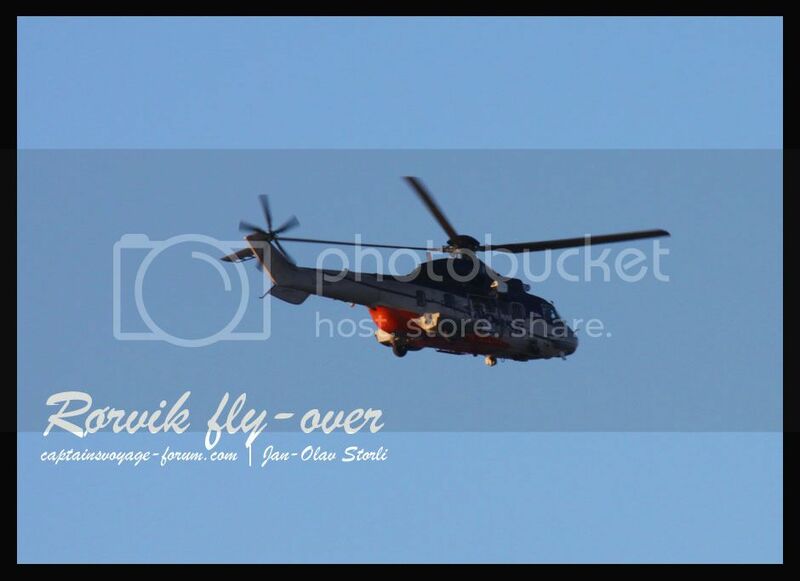 In Lanciano on the italian coast of the Adriatic Ocean this Sikorsky SkyCrane came flying overhead. This one just looks.... how should I say it nicely? Hideous.... is that polite... reminds me of an insect in the jungle. 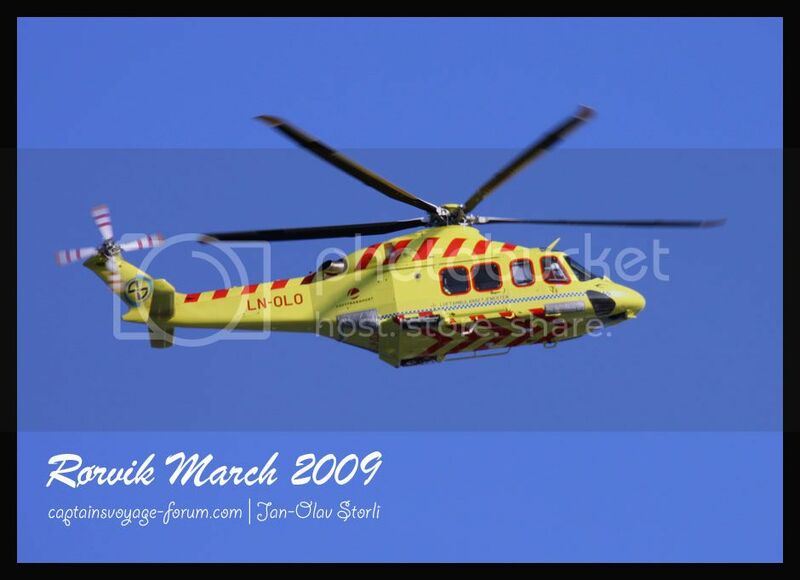 I would like to ask a bit silly, but that is not because of ignorance but rather because I have no idea whatsoever: if someone with a pilots license for aircrafts wants to go flying a helicopter, could he do it or do they need another licenses, year at school? 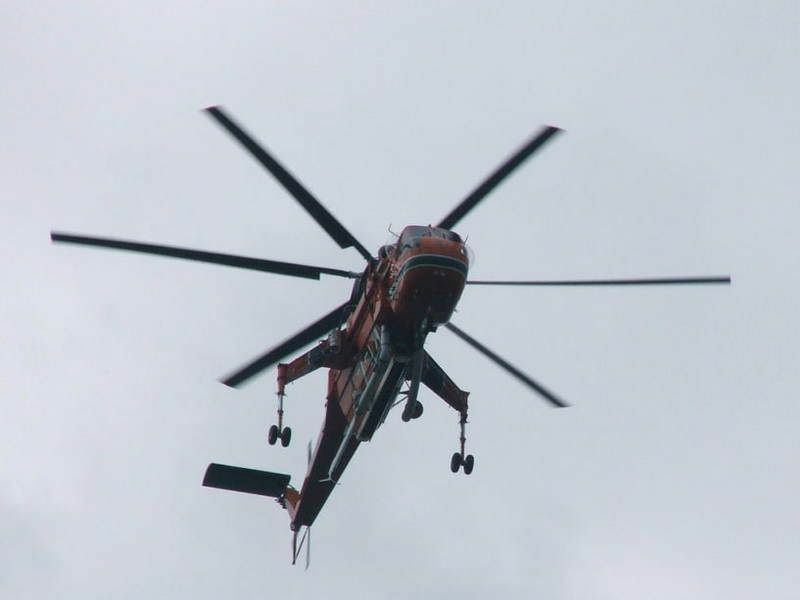 Is flying helicopters vastly different from flying a plane (well, apart from the obvious difference in vertical propeller and horizontal propeller)? You will need a different licence. 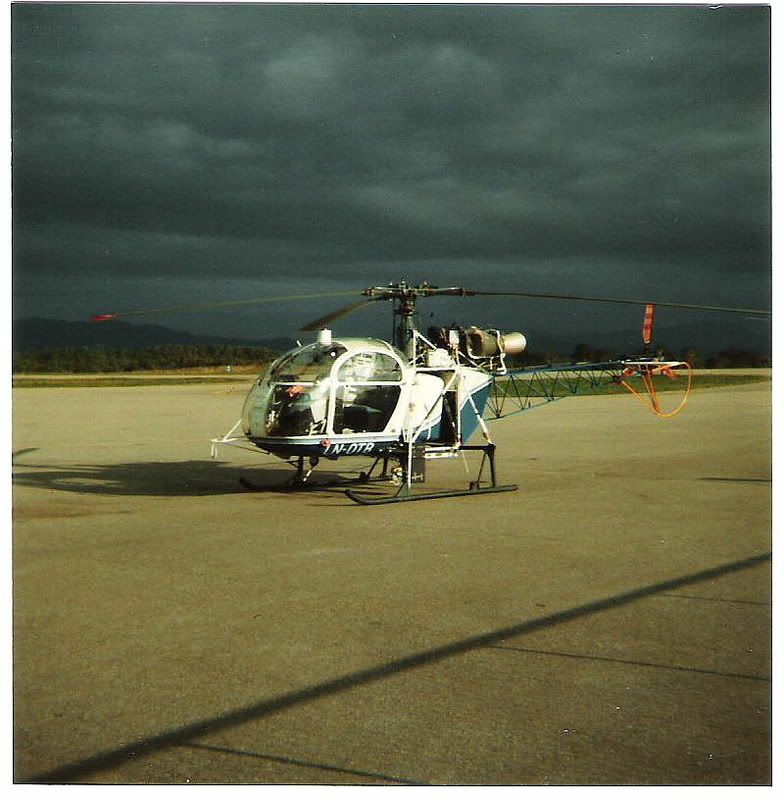 You operate a helicopter with two different control columns; collective (controlling the rotorblade pitch) and the usual column (control the rotor disc). 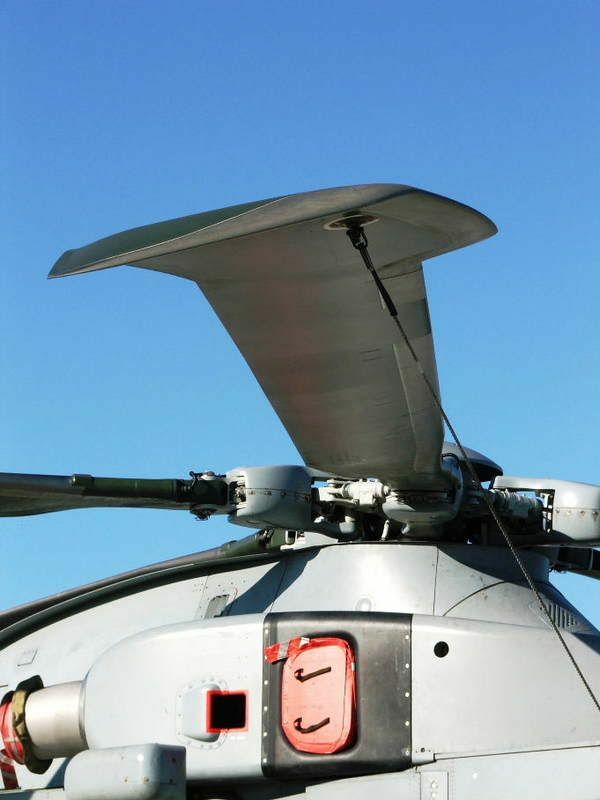 You also have pedals to control the tailrotor. 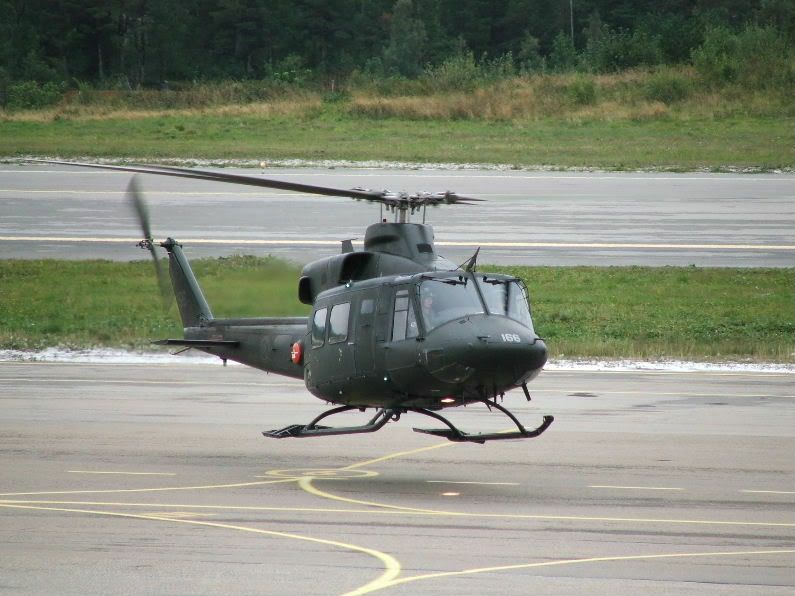 A helicopter is fundamentaly unstable, whereas an aircraft is fundamenaly stable. 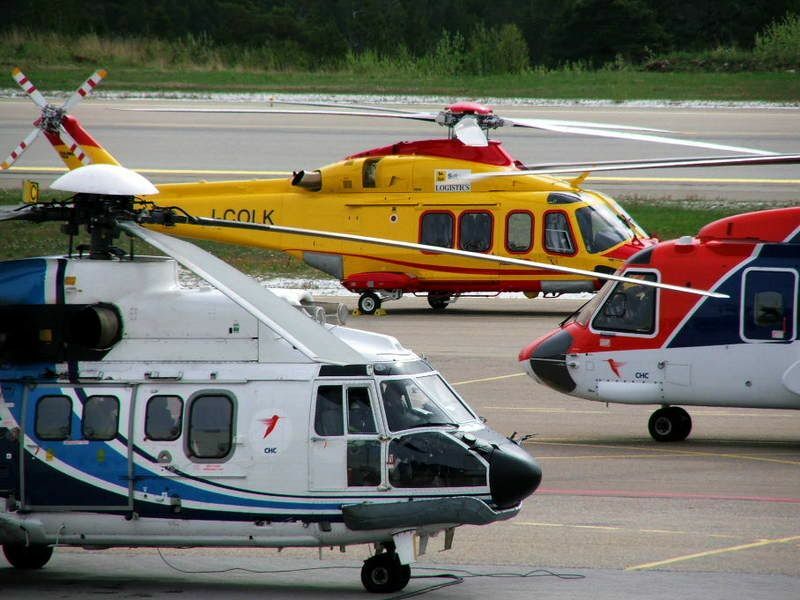 When taking a licence, you will get some of you aircraft hours granted for your helio education. 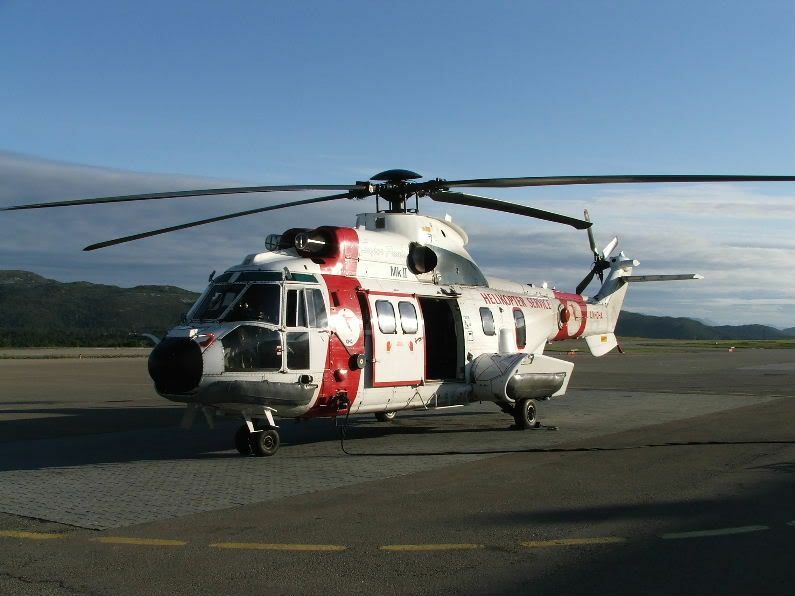 The helio on the picture, the SkyCrane, is specially designed for heavy duty lifting, such as containers.... (This is the cargo workhorse model of the Sikorsky S-61 passenger helio). Excellent... thanks for the clarification: most appreciated! 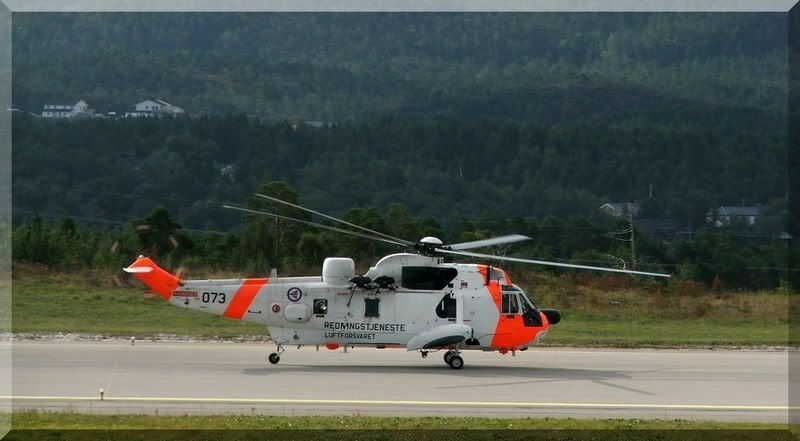 RNoAF SAR-helicopter, the Westland Sea King, seen here visiting Kvernberget last year. Last edited by Sterkoder; March 12th, 2009, 08:30. 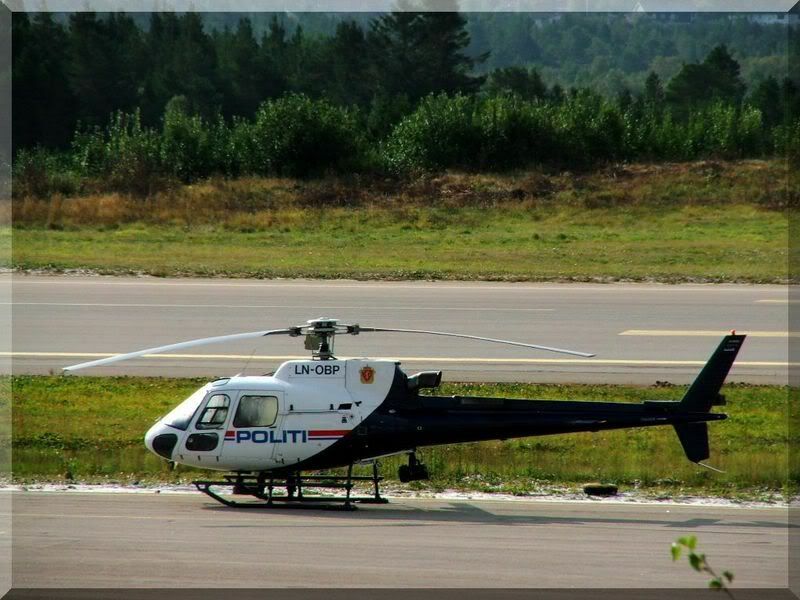 This is not the police helicopter in Norway (as I belive we only got one of the real thing), but an Aerospatiale AS-350 Equreuil rented by the police dept. Last edited by Sterkoder; March 11th, 2009, 23:56. 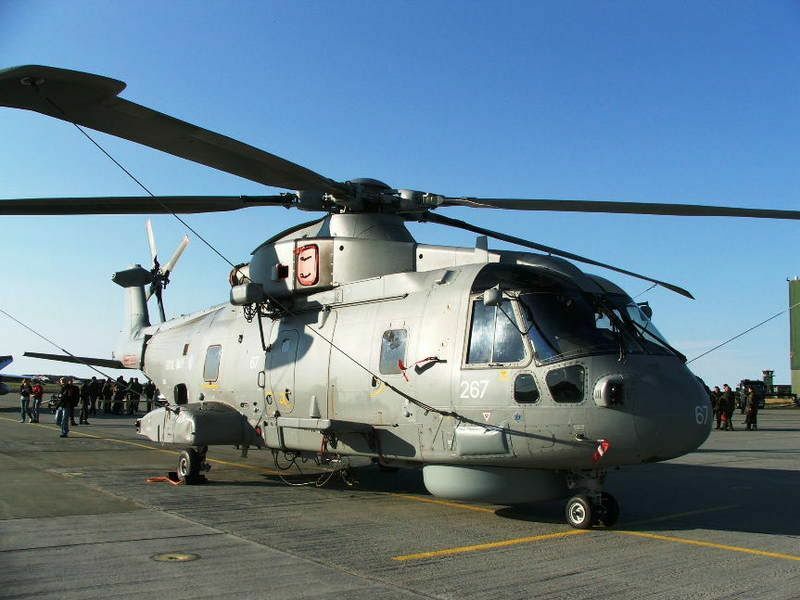 One of the rotor blades of a Royal Navy NH-101 at RNoAF Ørland Main Air Station. Last edited by Sterkoder; March 18th, 2009, 00:10. Next point on the to-do & find-out list is inheritance of previous numbers of posts: once I have figured that out, many people will make a huge jump for sure! Actually, looking through the old member list...so few of us on the old one actually were active, comparitively.....I wonder if you could somehow manually add to the counter.....and then, when someone new signs up, since you have to approve them anyway, you could just check back on the old forum...maybe add to the sign up form a box to check if you were a member on the old forum??? I feel that it's time to get this tread on track again. 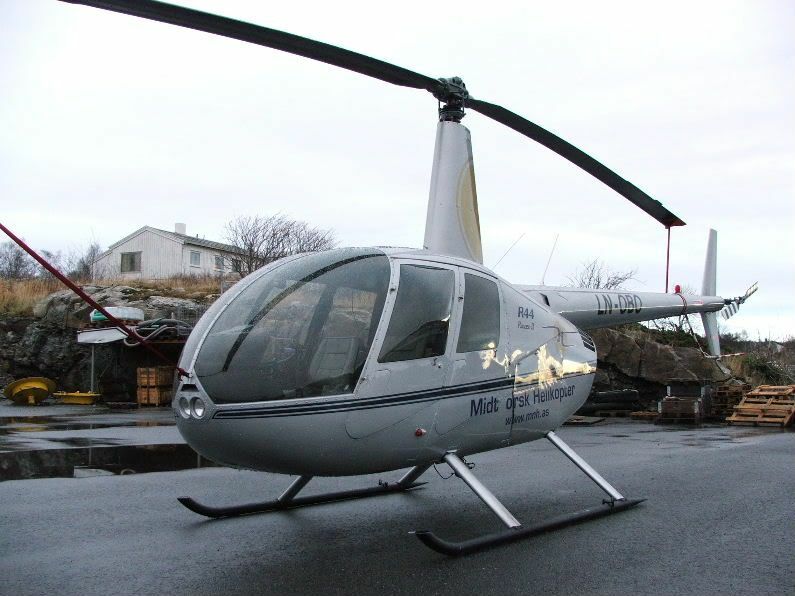 This is the backup helicopter. 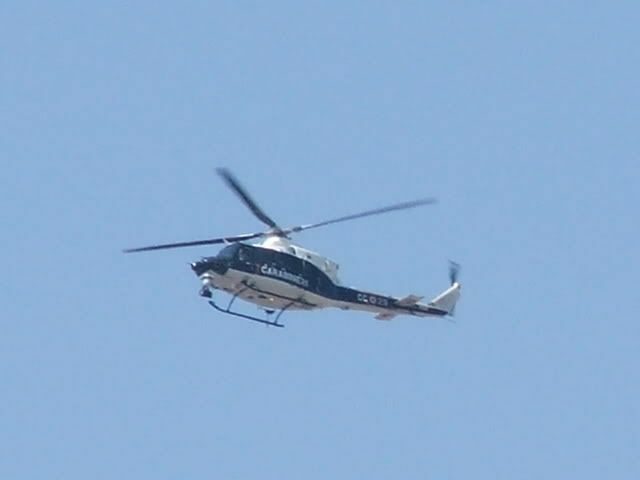 Both the AS-350 and this one is rented by the police. I have had a number of tours in this one, visiting radio base stations on mountain tops. I have (had?) 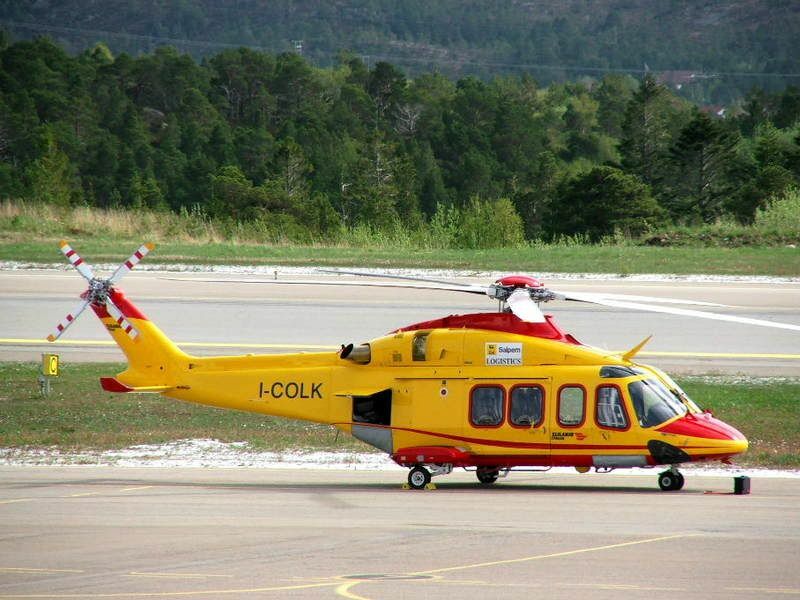 some pictures of the AS-350 and this one, but some days ago my hard disc made sounds like a cat when you step on it's tail. The PC is no longer operative. I hope that I have backup, but need a new PC first. 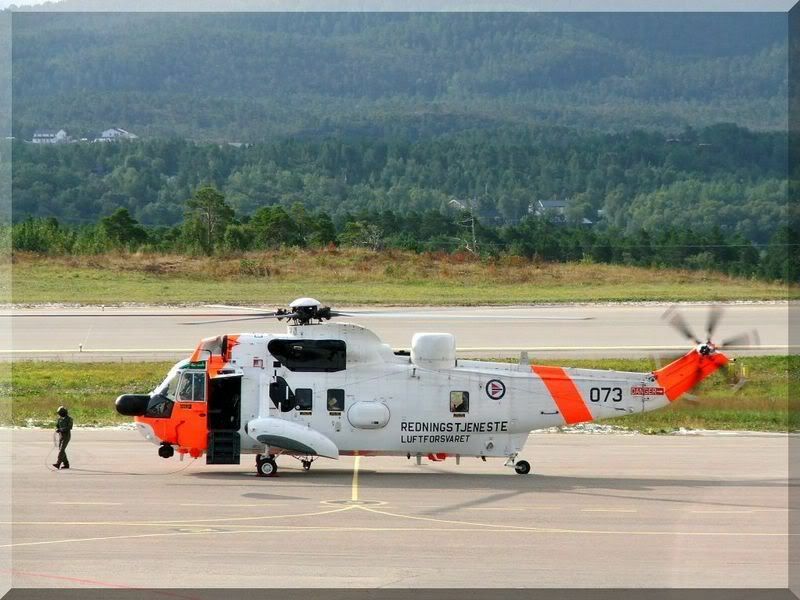 The SeaKing pictures you posted Sterkoder are absolutely brilliant! I hope that I have backup, but need a new PC first.